A few years ago, I rescued a whole lot of plants from a garden in my old neighbourhood which was about to be demolished. You can read the whole story over at my old blog HERE. When I moved to my new house, just over a year ago, I was careful to shift a lot of the tiny poppy baby plants from the legacy of that garden-save. (At the time, with a whole household to move, faffing about digging up tiny seedlings seemed kind of mad – but I now I am glad I took the trouble to do it!) I am happy to report they are doing well, and doing what poppies do in their second year, which is ‘pop’ up in all kinds of places which are often not garden beds. 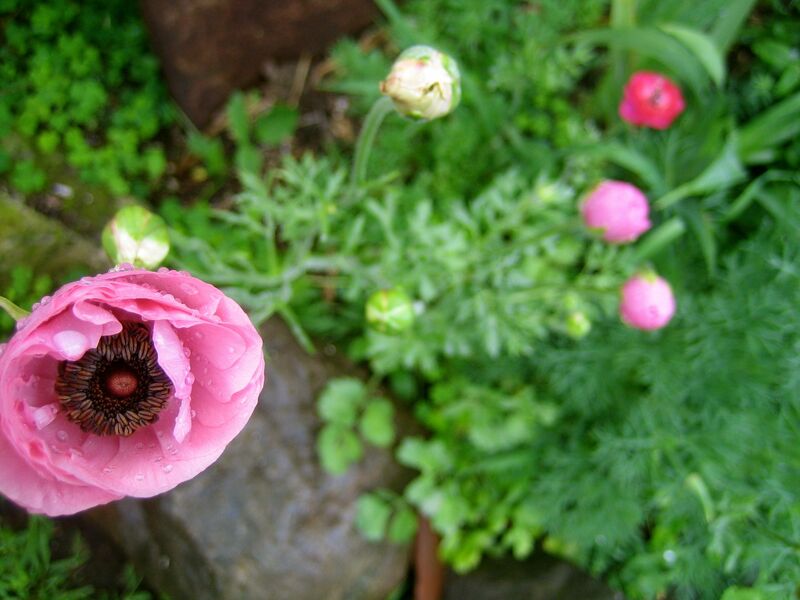 As well as the red poppies from the old house, this year I also planted big pink poppies. Alas, on the verge of flowering magnificently – they got blown over in last week’s winds. I will leave them in anyway, in the hope they still go to seed, so I can at least have them next year. 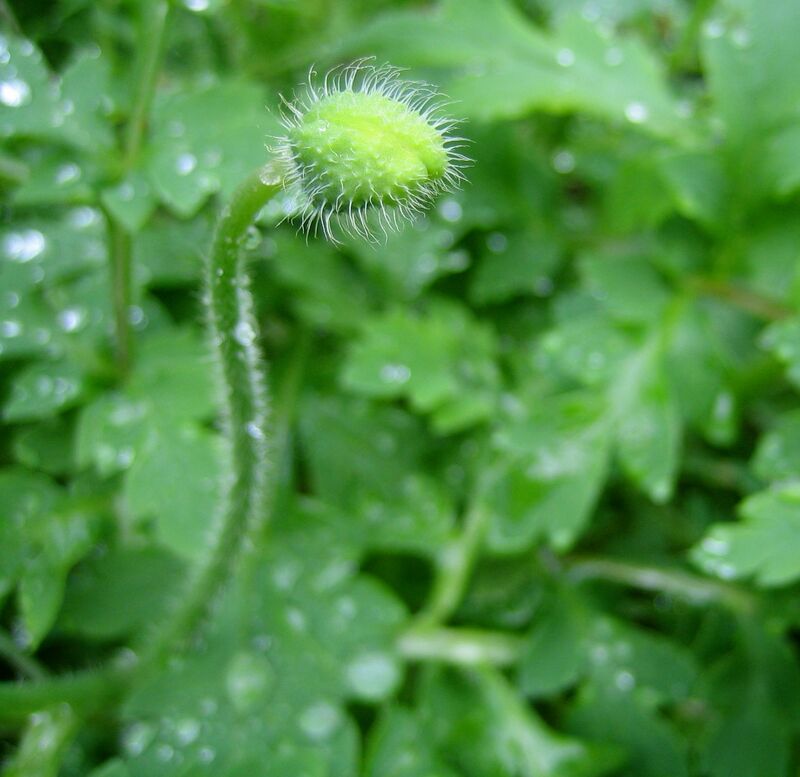 (Photo one above is the pink poppies about to pop. Photos two and three are rununculas, in lieu of the (now horizontal) pink poppies. 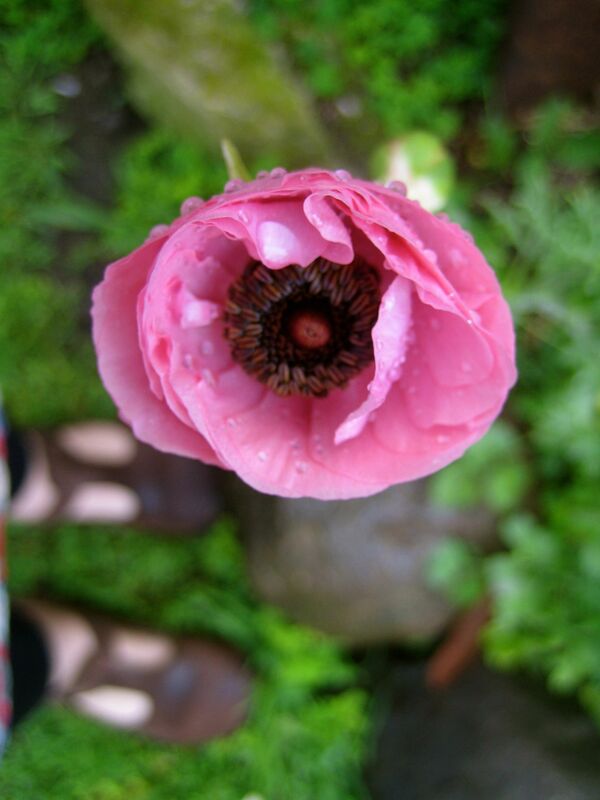 The rununculas are being the pink poppies ‘stand-in’ for this post – lol. 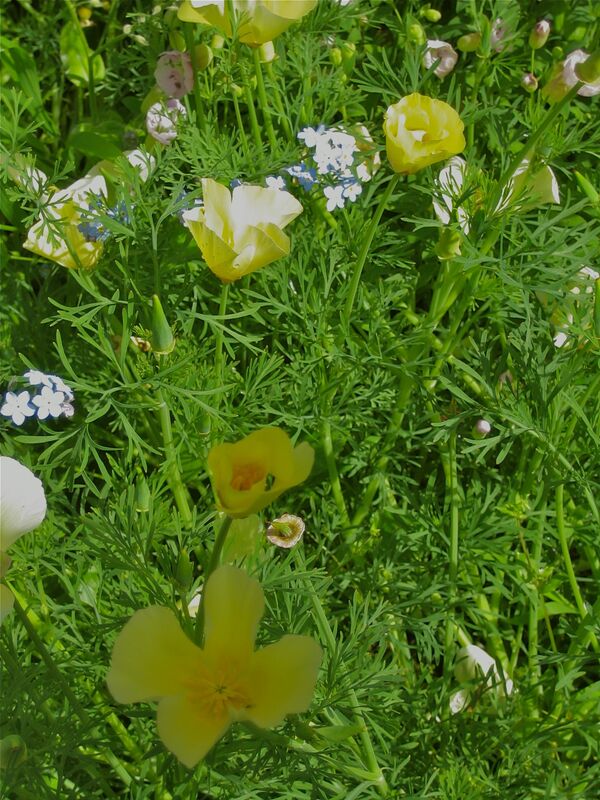 I also planted yellow californian poppies. These are lovely, elegant plants. In New Zealand you often see them around lakes and rivers. There are lots of bright orange ones around Lake Taupo, for example. As well as poppies, I’m planting as many self-seeding flowers as possible so that after a few years, I will have a low-labour, self-sustaining flower garden. Lovely to read this, because I like the low-labour self-sustaining garden too. And it’s amazing how it changes. 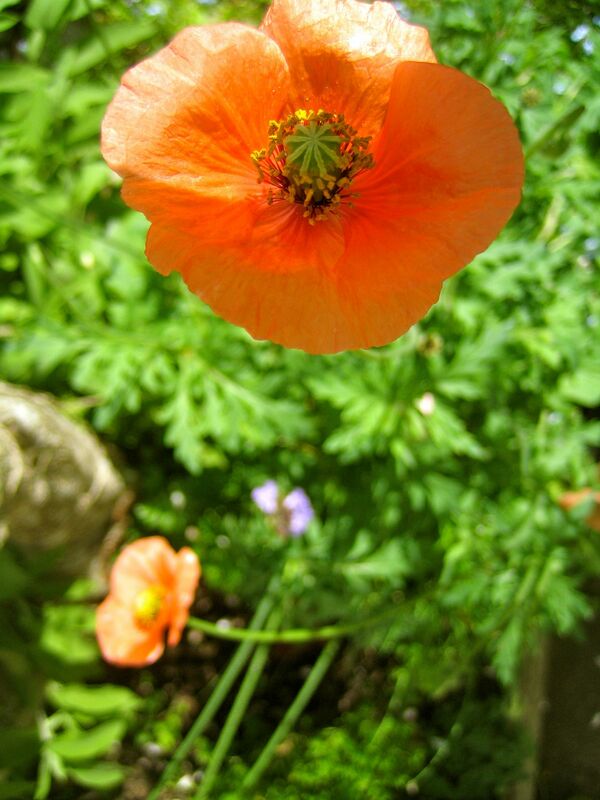 This year, after years & years with different poppies all over the place I have just one poppy. But a riot of calendula and more white borage than usual. Just a few tiny camomiles after years with lots. And the violets have taken off, so late winter there were a lot of those snaking all over the place. Oh wow, lovely to hear about your garden, Marian. I have just planted blue borage and chamomile, so I hope they ‘take’. Thanks for visiting. I’m glad you rescued them – poppies are so beautiful. And the California ones have the softest, most satiny petals. I would love to get some paeonies – they are the divas of the flower garden, aren’t they? Divas – such a great descriptor, my dear.